Salesforce introduces sub folder in Library since Summer '17 release, but you can only add the subfolder from Lightning Experience, also you cannot see all folders and subfolders in a glance, you have to open each folder to see the subfolders underneath. 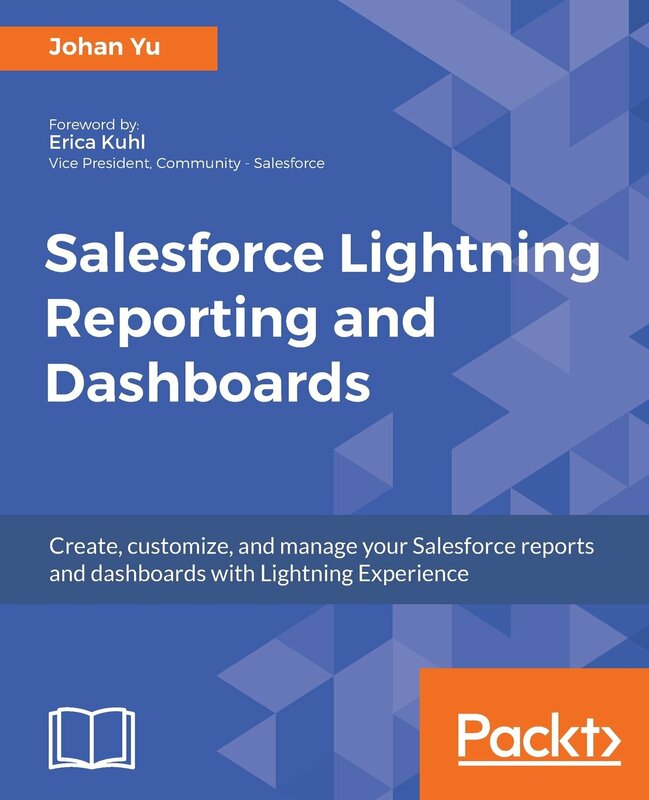 While in earlier Summer '15 release, we can use Salesforce Sync desktop agent, create folders and subfolders created in the desktop, and it will sync to Salesforce as folders too, this works for both Classic and Lightning. But same as the folder in Library, you need to click each folder to see subfolders underneath. This screenshot was taken from Classic. Folderize provides the ability to create folder hierarchies of unlimited levels, drag files or add library documents to the folders. It provides a view of all folders and sub folders in a glance, and work in both Classic and Lightning. You can add documents to Folderize from both library and files. 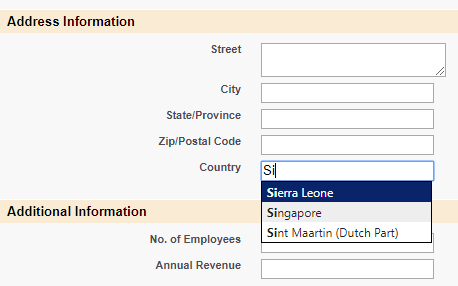 By default, State and Country in Salesforce are textbox fields, but Salesforce provides a feature to make State and Country as picklist, admin need to enable and configured it properly. Once the setup was done, instead of manually typing in the country and state name, the user just select from State and Country values defined, check out this blog related to this. However, to implement standard State and Country picklist, admin need to clean all existing data, existing State and County must be clean with values defined. 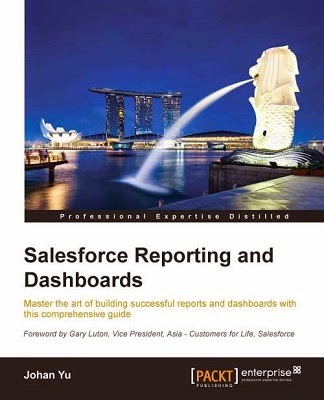 It will also cause data from all integration and data load must be clean, when inserting and update to Salesforce, the value must follow defined values, otherwise, an error will be thrown, such as FIELD_INTEGRITY_EXCEPTION - There's A Problem With This Country, Even Though It May Appear Correct. Please Select A Country/territory From The List Of Valid Countries. : Country. With AddressTools Free, this tool will ensure your users enter consistent address region names with an auto-complete pick-list & additional validation features. No need to clean your existing data before implementing, clean as you go knowing all new data is validated. Once the package installed and configured, you need to install the have extension for each of your user too, check out this document, if you are using Google Chrome, here is the extension. They also provide the same functionality through VisualForce pages without the need for a browser extension, however, this feature is reserved for premium users. At this moment, AddressTools only support in Classic, but I believe they are working on a Lightning release. In this blog Lead Field Conversion Mapping written almost 4 years ago, we shared about standard fields mapping when a lead is converted to Account, Contact, and Opportunity. By default, Lead Source is not mapped to Account Source, only to Contact and Opportunity, and you can't just simply configure the field mapping. You can follow this article by creating custom fields, configure the lead fields mapping, and workflow. With this free managed package app "Lead Source Mapper" by CRM SuperStars, admin just needs to install the app, no extra fields and etc. need to be configured. When a lead is converted to new Account, the Account Source will be auto populated from Lead Source. If you convert the lead to existing Account and Account Source have value, it will not change. 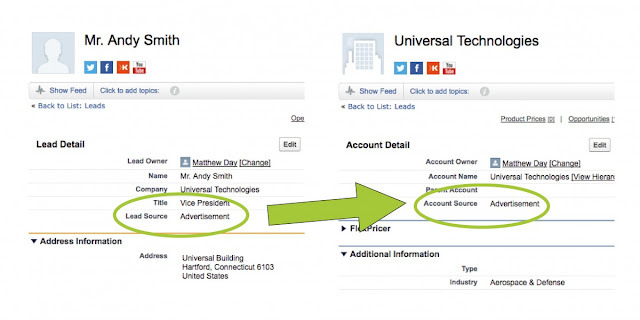 But if the existing Account Source is blank, the new value from Lead will update the Account Source. Now, when you open Account or run a report from Accounts with Account Source, the Lead Source value from lead will be in Account. We blog about Google Chrome extensions that can be used to help us when building Change Set: Salesforce Change Set Helper and Boostr for Salesforce, both of them are free. Here is another free Google Chrome extension that can make our life easier when adding Change Set Components, it called "Quick ChangeSet & Navigator". 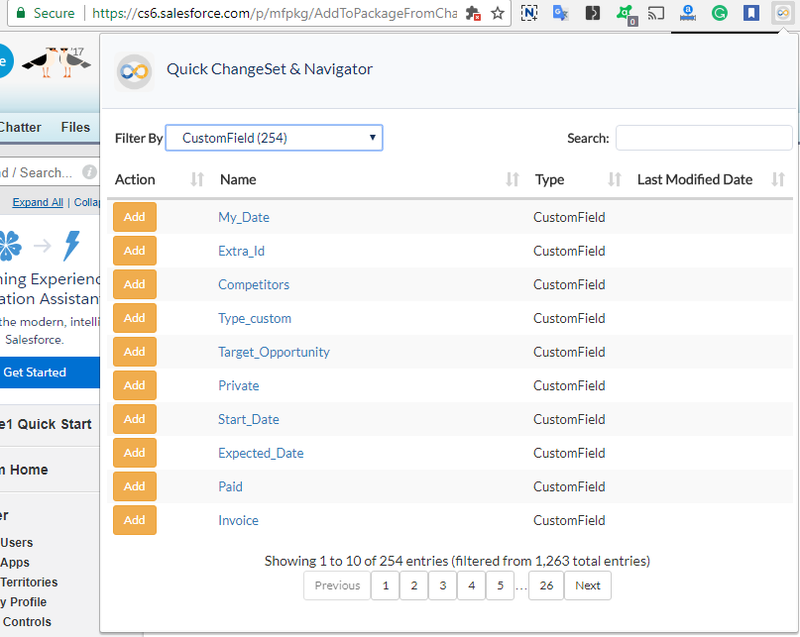 This extension help to add components into Change Set without having to load each page as well as navigating Component Type and paging in Salesforce. 2. Click Add button, make sure you are in "Add to Change Set" page, otherwise, the tool will not work.